NEW YORK (October 31, 2017) – Outdoor Sportsman Group’s (OSG) global, subscription-based, video on-demand service MyOutdoorTV (MOTV) has acquired legendary fisherman and host, Mark Zona’s program – Zona’s Awesome Fishing Show. Outdoor Sportsman Group has obtained seven full seasons of Zona’s Awesome Fishing Show – more than 40 hours of fishing content. MOTV and Mark Zona will partner to promote MOTV as the exclusive destination for his programming. The acquisition of exclusive content from Zona’s fishing program library follows other MOTV acquisitions of best-in-class programming including the libraries from: Jim Shockey and Shockey Productions, Brian “Pigman” Quaca, Heartland Bowhunter, the late Jose Wejebe’s Spanish Fly, Bill Jordan’s Realtree Outdoors, Ralph and Vicki Cianciarulo’s Archer’s Choice and The Choice; three programs from Drury’s Outdoors, a trio of elk hunting programs – Into the High Country with Jason Matzinger, Pure Hunting and Western Hunter and Jana Waller’s Skull Bound TV. The OSG initiative is designed to partner with its best producers, talent and hosts to acquire content for linear, digital, print and mobile platforms with one click. MyOutdoorTV is the global, paid-subscription, video on-demand service from Outdoor Sportsman Group created just for outdoor lifestyle enthusiasts. The subscriber-based service can be found in Apple iTunes and Google Play App stores for users across the globe. The retail price of MOTV is (US) $9.99 per month or (US) $99.99 annually and includes a seven-day free trial period. About MOTV: The global, subscription-based, video-on-demand service provides the best outdoor programming, lifestyle content and access to favorite Outdoor Channel, Sportsman Channel and World Fishing Network television shows and is the pre-eminent voice for all outdoor enthusiasts. MOTV – powered by the three networks – accomplishes this with an expansive acquired library of the best hunting, fishing and shooting programming in long and short form, recipes, tips and tricks, how-to instructional videos, as well as educational and exclusive content focusing on improving success in the field and waterways. Along with the three networks, content is available from Outdoor Sportsman Group’s established integrated media arm that includes 15 outdoor magazines, such as: Guns & Ammo, Game & Fish, In-Fisherman, Florida Sportsman and Wheels Afield and 19 top websites, including: BassFan.com. Exclusive episodes, as well as live event coverage and behind-the-scenes footage will be added in the future. NEW YORK (October 30, 2017) – Outdoor Sportsman Group (OSG) continues to obtain the best in outdoor lifestyle television content for its outdoor global, subscription-based, video on-demand service MyOutdoorTV (MOTV) with the acquisition of programming from Skull Bound TV with host Jana Waller. Outdoor Sportsman Group has obtained the entire Skull Bound TV library with a trove of content that will continue to grow with the addition of new content each year from the above-mentioned series. MOTV and Jana Waller will work together to promote MOTV as the exclusive destination for her programming. “Acquiring Jana Waller’s Skull Bound TV for our subscription-based, video-on-demand service – MOTV – is another great example of our commitment to collect the very best-in-class content for our unique showcase of outdoor lifestyle programming,” Outdoor Sportsman Group CEO and President, Jim Liberatore said. The acquisition of exclusive content from Waller’s library follows other MOTV acquisitions of best-in-class programming including the libraries from: Jim Shockey and Shockey Productions, Brian “Pigman” Quaca, Heartland Bowhunter, the late Jose Wejebe’s Spanish Fly, Bill Jordan’s Realtree Outdoors, Ralph and Vicki Cianciarulo’s Archer’s Choice and The Choice; three programs from Drury’s Outdoors and a trio of elk hunting programs – Into the High Country with Jason Matzinger, Pure Hunting and Western Hunter. The OSG initiative is designed to partner with its best producers, talent and hosts to acquire content for linear, digital, print and mobile platforms with one click. MyOutdoorTV is the global, paid-subscription, video-on-demand service from Outdoor Sportsman Group created just for outdoor lifestyle enthusiasts. The subscriber-based service can be found in Apple iTunes and Google Play App stores for users across the globe. The retail price of MOTV is (US) $9.99 per month or (US) $99.99 annually and includes a seven-day free trial period. NEW YORK (October 25, 2017) – Outdoor Sportsman Group (OSG) continues to add to its cache of the best outdoor lifestyle television content in the industry for its outdoor global, subscription-based, video on-demand service MyOutdoorTV (MOTV). OSG has acquired extensive elk hunting programming from Into the High Country with Jason Matzinger, Pure Hunting and Western Hunter to complement its growing roster of programming. Outdoor Sportsman Group has obtained the libraries of three popular elk hunting programs the will continue to build with the addition of new content each year from the above-mentioned series. MOTV and producers will work together to promote MOTV as the exclusive and pre-eminent destination for outdoor lifestyle programming anywhere, any time on any device. Exclusive content for MOTV of best-in-class programming includes the libraries from: Jim Shockey and Shockey Productions; Brian “Pigman” Quaca; Heartland Bowhunter; the late Jose Wejebe’s Spanish Fly; Bill Jordan’s Realtree Outdoors; Ralph and Vicki Cianciarulo’s Archer’s Choice and The Choice; and Drury Outdoors trio of shows. The OSG initiative is designed to partner with its best producers, talent and hosts to acquire content for linear, digital, print and mobile platforms with one click. MyOutdoorTV is the global, paid-subscription, video on-demand service from Outdoor Sportsman Group created just for outdoor lifestyle enthusiasts. The subscription-based service can be found in Apple iTunes and Google Play App stores for users across the globe. The retail price of MOTV is (US) $9.99 per month or (US) $99.99 annually and includes a seven-day free trial period. NEW YORK (October 20, 2017) – Outdoor Sportsman Group (OSG) continues to obtain the best in outdoor lifestyle television content for its outdoor global, subscription-based, video on-demand service MyOutdoorTV (MOTV) with the acquisition of programming from Drury Outdoors. Outdoor Sportsman Group has obtained the entire OSG-related Drury Outdoors library of programming which will continue to grow with the addition of new content each year. MOTV, along with the Drury family, will work together to promote MOTV as the exclusive home of their impressive library of outdoor content: Bow Madness, Drury’s THIRTEEN, Drury & Biologic’s Wildlife Obsession and Dream Season. The acquisition of exclusive content from the Drury’s library follows other MOTV acquisitions of best-in-class programming including the libraries from: Jim Shockey and Shockey Productions; Brian “Pigman” Quaca; Heartland Bowhunter; the late Jose Wejebe’s Spanish Fly; Bill Jordan’s Realtree Outdoors and Ralph and Vicki CIanciarulo’s Archer’s Choice and The Choice programming libraries. The OSG initiative is designed to partner with its best producers, talent and hosts to acquire content for linear, digital, print and mobile platforms with one click. DENVER (October 18, 2017) – Zac Brown needs no introduction as a country-music mega star. His fans also know Zac is a foodie who loves to hunt and explore the outdoors. This week on The Fowl Life with Chad Belding, viewers will get a behind-the-scenes look at Zac Brown’s Camp Southern Ground. The episode, Mr. Billy, airs exclusively on Outdoor Channel on Saturday, October 21 at 5:30 p.m. ET. Joining Zac and host Chad Belding is Nashville recording artist Drake White. The episode features campfire performances by both Zac and Drake, in addition to world-class duck hunting in Prairie Wings, Arkansas. Join Chad Belding on Saturday, October 21 at 5 p.m. ET on the Outdoor Channel Facebook page for a Facebook LIVE event at: www.facebook.com/OutdoorChannel/. Follow Zac Brown @ZacBrownBand and Drake White @DrakeWhite for updates on their music and outdoor adventures. DENVER (October 16, 2017) – Outdoor Sportsman Group Publishing’s Game & Fish Magazine has named John Geiger its new Editor-in-Chief. The announcement was made today by Outdoor Sportsman Group Publishing and Branded Media Chief Operating Officer, Michael Carney. WHO: Outdoor Sportsman Group (OSG) is hosting the inaugural #DeerWeek brought to you by Cabela’s on both Sportsman Channel and Outdoor Channel for seven nights beginning on October 15 at 7 p.m. ET through midnight. WHAT: #DeerWeek will allow viewers to experience non-stop deer action while incorporating educational information, unique recipes, hunting tips and more through OSG’s print, digital and social media platforms. 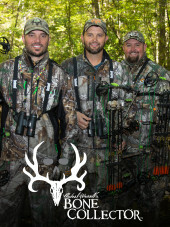 Programming will include: a mini-marathon featuring the best deer hunts from Bone Collector; Luke Bryan on Buck Commander; The Drury Outdoors shows; an exciting premiere episode of Bowhunter; a best of episode of MCMILLAN with Tom McMillan filming nearly the entire episode; a premiere episode of North American Whitetail entitled: “Sweet Home Alabama” and much more. Each episode airing during #DeerWeek was carefully curated to show the best cervid-centric moments. For more information, visit www.deerweek.com and follow us on Facebook, Twitter and Instagram using #DeerWeek. DENVER (October 10, 2017) – What has changed in the last 35 years of deer hunting and management? “Almost everything,” North American Whitetail Editor-in-Chief Gordon Whittington claims. To illustrate his point, he just wrote an entire special section about this transformation, featured in the magazine’s 35th anniversary collector’s issue. The 144-page issue is now on newsstands everywhere. Hunting tactics have evolved in that span, due in part to new technologies that allowed for the development of such products as digital scouting cameras, laser rangefinders and carbon arrows. But according to the editor-in-chief, private-land deer management has seen some of the biggest changes of all. Among the other key changes of the past 35 years, he points out, is the encouraging growth in the number of female hunters. Whereas the deer woods once were almost exclusively the domain of men and boys, today women and girls are proudly joining them in the pursuit of whitetails. In this special section, Whittington also touches upon many of the greatest trophy bucks since 1982, including such legendary deer as Milo Hanson’s world-record typical from Saskatchewan and Mike Beatty’s world-record archery non-typical from Ohio. These are two of the enormous bucks whose stories were broken by the magazine over the years. The most recent of these giants was the huge non-typical Tennessee muzzleloader that Stephen Tucker took in November 2016. That incredible buck tallies 312 0/8 points on the Boone & Crockett scoring system, making him the world’s highest-scoring whitetail ever taken by a hunter. The deer and hunter were featured on the cover of North American Whitetail’s Spring 2017 issue. There also is plenty of timely seasonal content in the magazine’s anniversary issue. 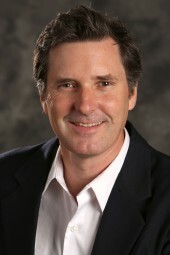 Dr. James Kroll, widely known as “Dr. Deer,” looks at how the moon and rainfall affect the rut, and veteran hunter Travis Faulkner shares his tips on proper food plot placement. The issue also contains four real-life examples of using scouting camera images to pattern big bucks. And finally, game chef Derek St. Romain reveals his own favorite recipe for venison roast. It’s all part of a special package celebrating North America’s favorite big-game animal. “Michael Waddell’s Bone Collector” on Outdoor Channel. NEW YORK (October 2, 2017) – Outdoor Sportsman Group (OSG) continues to obtain the best in outdoor lifestyle television content for its outdoor global, subscription-based, video on-demand service MyOutdoorTV (MOTV) with the acquisition of programming from Michael Waddell’s Bone Collector. Outdoor Sportsman Group has obtained the entire Bone Collector library, and this trove of content will continue to grow with the addition of new content each year from the above-mentioned series. MOTV and Waddell will work together to promote MOTV as the exclusive destination for Michael Waddell’s Bone Collector. The acquisition of exclusive content from Waddell’s library follows other MOTV acquisitions of best-in-class programming including the libraries from Jim Shockey and Shockey Productions, Brian “Pigman” Quaca, Heartland Bowhunter, the late Jose Wejebe’s Spanish Fly, Bill Jordan’s Realtree Outdoors and Ralph and Vicki Cianciarulo’s Archer’s Choice and The Choice programming lineups. The OSG initiative is designed to partner with its best producers, talent and hosts to acquire content for linear, digital, print and mobile platforms with one click. Michael Waddell’s Bone Collector premiered in 2009, exclusively on Outdoor Channel, and promised to reinvent the outdoor television genre. Bone Collector documents the culture of the hunter; the brotherhood of sportsmen that have true passion for the game, the land and the lifestyle. With world-class production and marketing teams behind it, this program brings a fresh, honest and youthful approach to America’s leader in outdoor television.